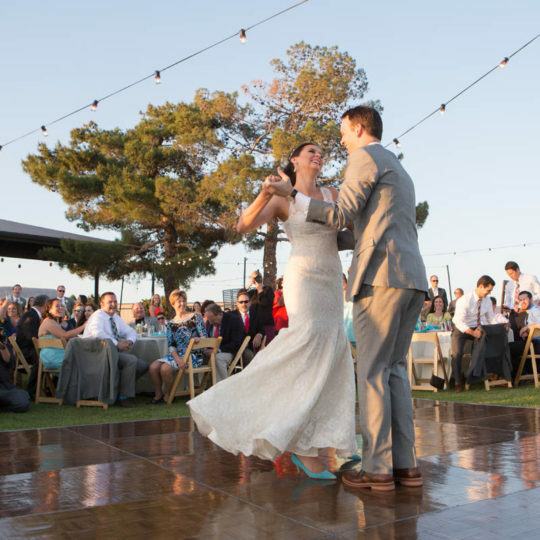 Perched atop Airport Mesa, we are gifted with an extraordinary display of red rocks and two alfresco wedding venues in Sedona. 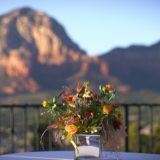 Our carefully curated Sedona weddings and celebrations are marked by striking settings, attentive service, and thoughtful details. 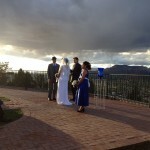 As experienced Sedona wedding planners, we look forward to co-creating a ceremony of the senses for your wedding in Sedona, framed by the world’s most beautiful natural scenery. We are Sedona’s best kept secret. Peacefully removed from town, our romantic retreat overlooks Sedona and features cozy rooms and cottages surrounded by well-manicured gardens, trees, ponds, courtyards, and bridges. Guests fall in love with our sweeping views of Red Rock Country’s iconic formations, including Brins Mesa, Bell Rock, Cathedral Rock, Coffee Pot Rock, Capital Butte, and Snoopy Rock. Attractions are located just minutes away from our Sedona wedding venue, and our friendly staff is ready to help you and your guests plan your adventure, from hiking and jeep tours to vortex journeys and spa days. HERE IN THE SKY, YOU CAN HAVE YOUR CAKE AND EAT IT TOO. Jeff and I just want to sincerely thank you for making our wedding so perfect. Everything was beautiful and went off seamlessly. 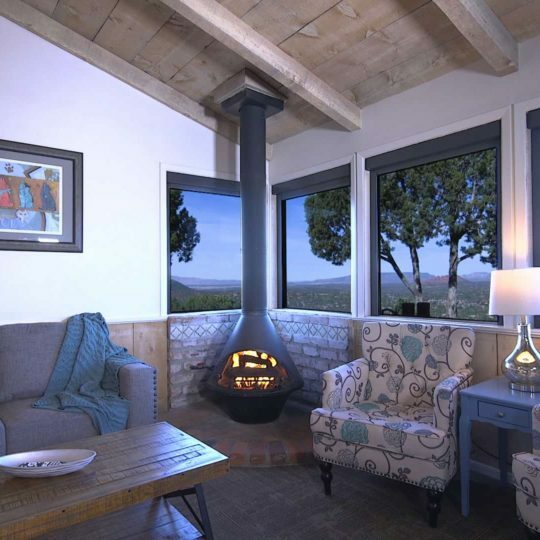 Our family & friends have raved about the lodge and the site itself. I know what a great effort goes on behind the scenes. I wish I had gotten everyone’s names to personally mention – but please thank them for making hte site so beautiful, everyone at the desk, the lady who served the wine – everyone has our deepest thanks. Hollis- you were a dream – thank you for all your hard work. We are so grateful to you and your staff for making our wedding so special! We felt taken care of in every way. It was particularly chilly on that October 12th afternoon. I heard from my aunt that you offered to bring out extra blankets for the guests. The view was absolutely spectacular! Everyone who has seen our wedding photos has commented on how beautiful the venue was. We also liked the space where we could offer food and beverages to our guests, right after the wedding. It was the perfect place for us to spend our special day. Thank you for being a part of it! 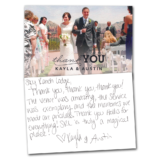 Thank you so much for all your help with Ashley & Isaac’s wedding! It was absolutely amazing & beautiful. Thank you, thank you, thank you! The venue was amazing, the service was exemplary and the memories we made are priceless. Thank you Hollis for everything! SRL is truly a magical place! Thank you so much for making our day extra special last Friday! 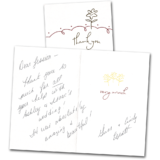 You and Jerry really went above and beyond to make sure everything went smoothly. All of our guests including Greg and I can’t stop talking about Sky Ranch on how beautiful the grounds are and how fantastic the staff had been! The view is just breathtaking and we are all looking forward to many future stays there! To you and all of SR staff, many thanks from the bottom of our hearts! Thank you for making our day so very special! 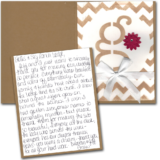 It would not have been the same without your help! Our family could not say enough good things about the wedding and SRL. 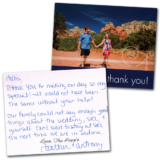 Can’t wait to stay at SRL the next time we are in Sedona.